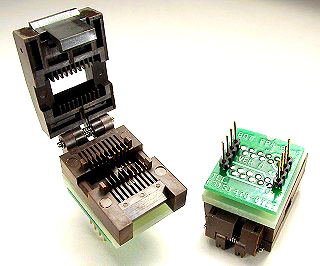 SOIC Programming adapter for 208 mil body, 307 mil overall SOIC package. Adapter wired 1-1. 600 mil span DIP plug.